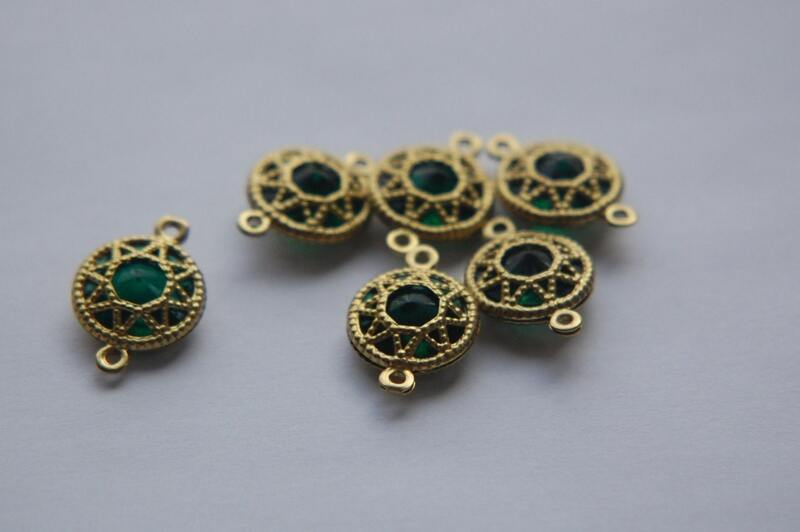 These are vintage acrylic green faceted stones cased in brass. These have 2 loops. They measure 13mm without the loops, 19mm with the loops. You will receive 6 of these. 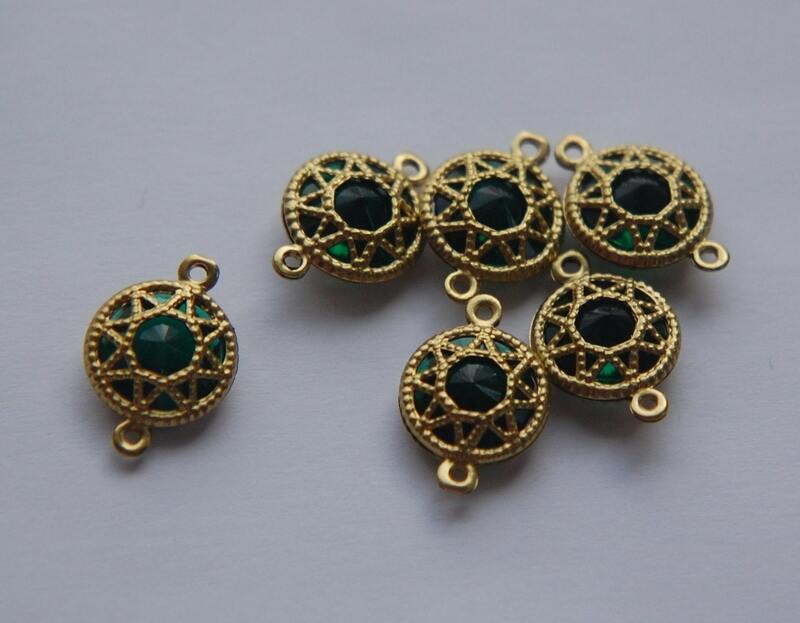 Great product, Super fast shipping! Thank you! Yummy Treasures- never disappoints, ships fast.